Although they were often at odds with one another for the sake of any number of contrived, short-lived dramatic conflicts, Summer Roberts and Marissa Cooper were one of the strongest friendships to come out of The O.C., and the early 2000s teen drama genre in general. backstabbing and boy stealing that is found in other teen series (we're looking at you, One Tree Hill), their friendship was truly supportive and compassionate. However, all was not so rosy behind the scenes of The O.C., as rumors about Mischa Barton and Rachel Bilson's mutual disdain for one another have existed ever since the series began. 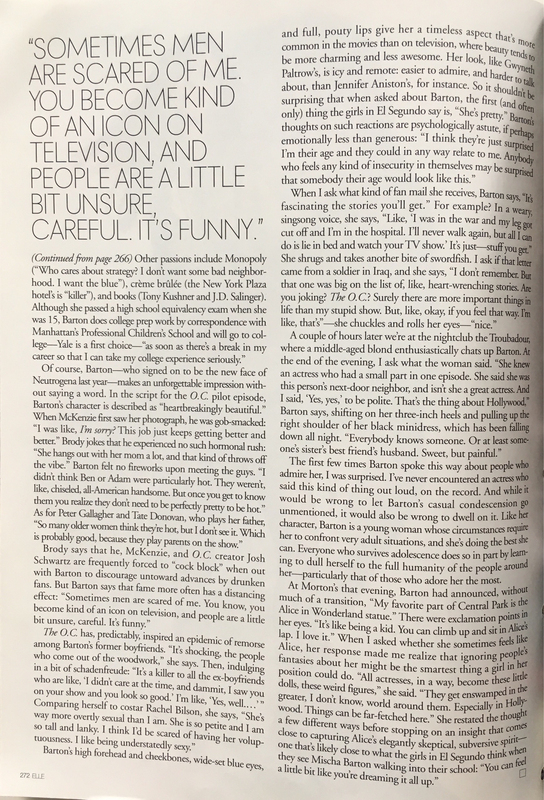 In a 2004 interview with ELLE Magazine, Barton took a few cheap shots at Bilson's appearance and personality, noting that "She's way more overtly s*xual than I am. She is so petite and I'm so tall and lanky. I think I'd be scared of having her voluptuousness. I like being understatedly s*xy."